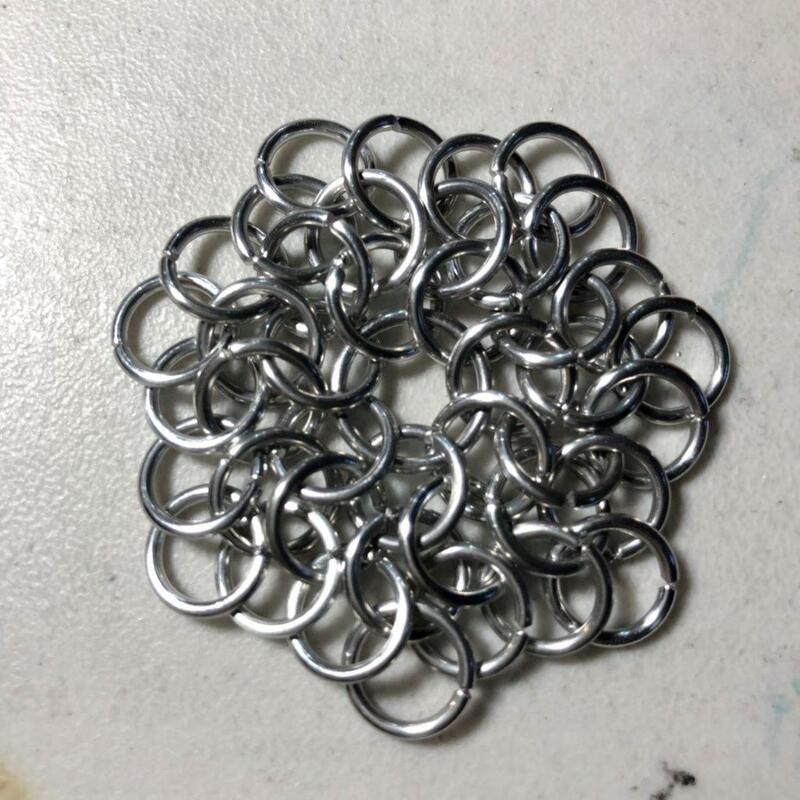 Most of the things you make when building a chain maille outfit are rectangular in shape. This outfit is going to be a bit different. My plan is to make several cylinders and join them together you see. 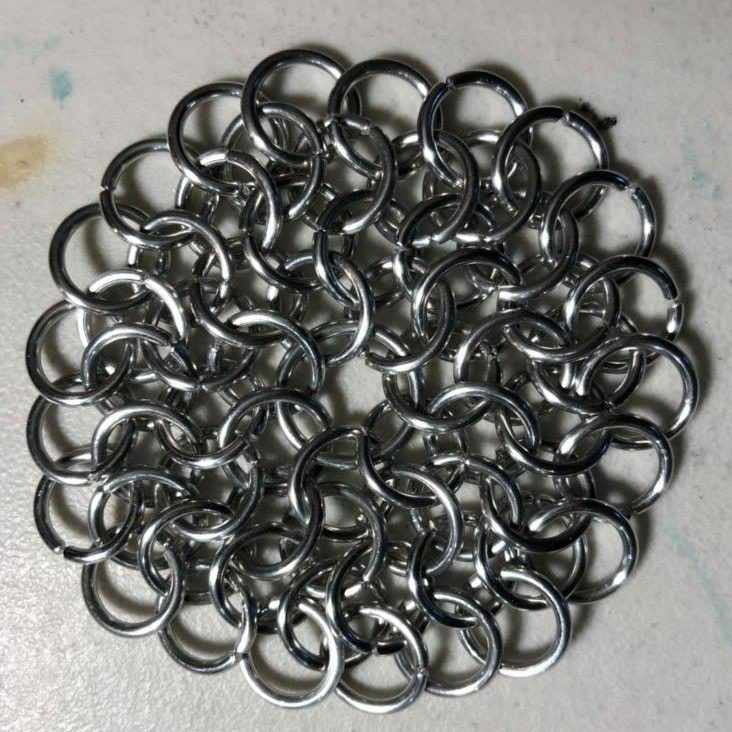 But the Coif (that’s the part that covers the head is a bit different.For one thing, it needs to go over my round head, so it begins differently. 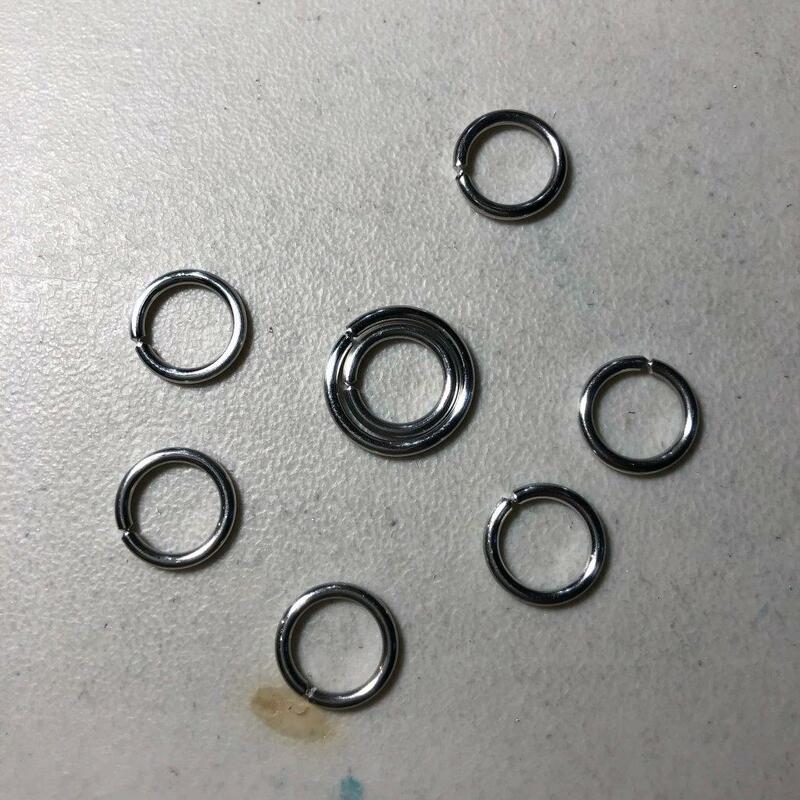 I want to make a round piece, and so I’m starting with one ring with a slightly larger inner diameter than the outside diameter of all the other rings, and I’ll attach seven rings to it. It’s losing it’s circular shape, so another twenty-one. 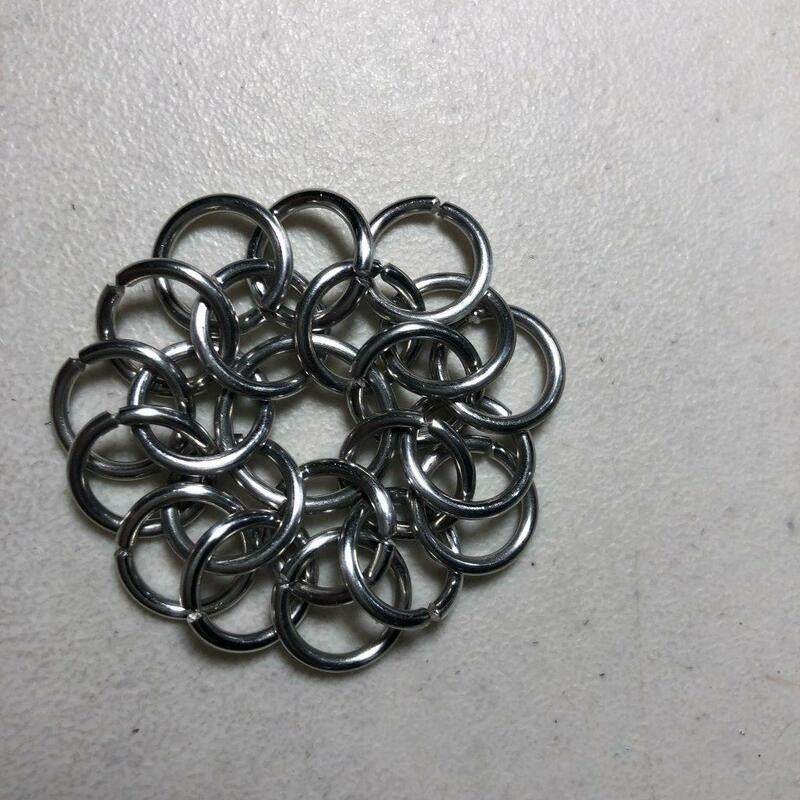 Each time I want to increase the diameter and still keep the piece relatively flat, I’ll add an extra seven rings to the row I’m working on. 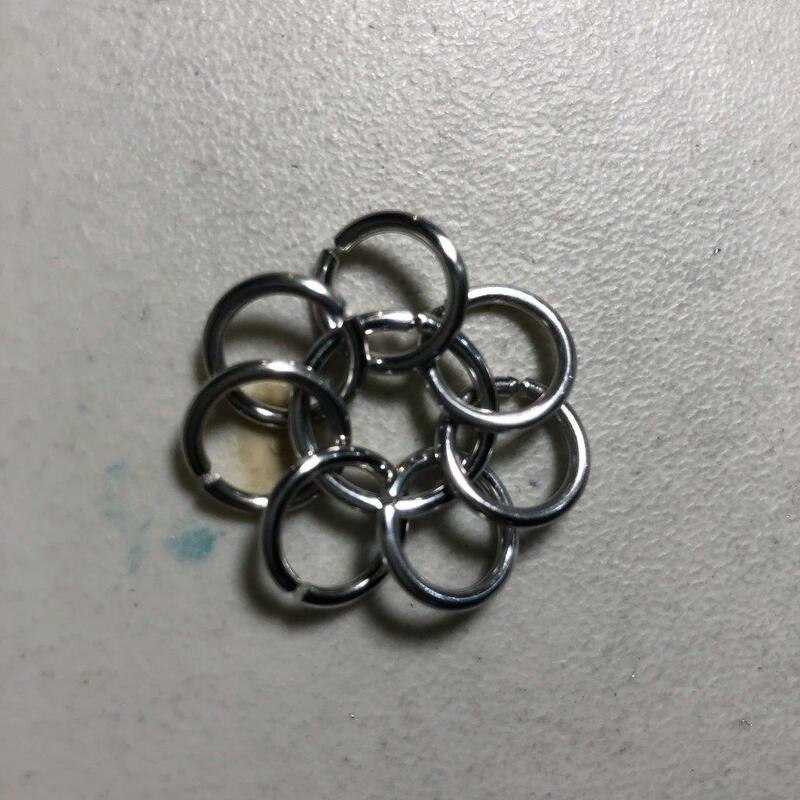 Once I’m ready for the piece to curvature to increase, I’ll do more rows without the extra rings, and when I want it to hang straight down, I won’t add any more extra rings at all. In the meantime, I’ve also started working on the sleeves. More on that later and the general design of the Hauberk too. I’d just bet there’s a wee bit of math going on in the background, somewhere. . .